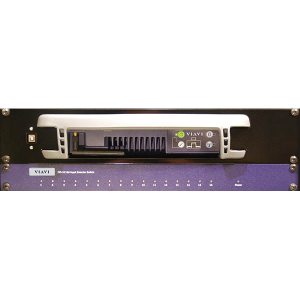 The VSA-RF100 integrates both RF and MPEG analysis to quickly identify and troubleshoot customer-affecting issues down to the individual program level. The VSA-RF100 probe provides remote monitoring, analysis, and troubleshooting to the field, headend, and network operations center (NOC) without the delay and expense of deploying a specialist to the physical hub location. Simply viewing the QAM with a spectrum analyzer or measuring and monitoring MER and BER on QAM carriers provides limited insight into MPEG video transport streams. It is critical for cable network operators to have system-wide visibility into the underlying content, including the MPEG protocol layer, to ensure the quality of programming content.